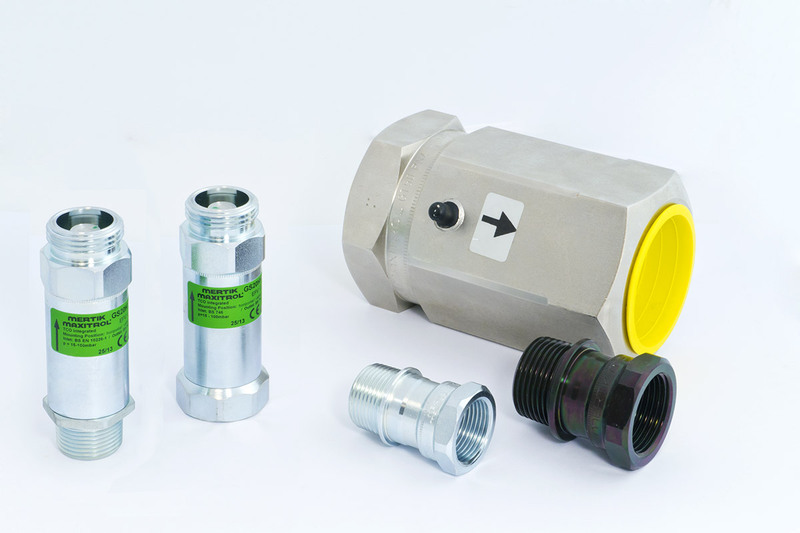 SENTRY GT thermally activated shut‐off devices automat­i­cally shut off the gas flow at temper­a­tures between 92°C and 100°C. They remain close up to 925°C. These shut‐off devices help prevent gas from flowing to downstream compo­nents that may not be resistant to high temper­a­tures. The SENTRY GT..KD40 ball valve may also be used as a main gas manual shut‐off valve.